More than 500 people crowded into the grand opening of an Ollie’s Outlet store in Lakeland, Fla. on Wednesday for a chance to meet Monster Energy NASCAR Cup driver Chase Elliot. Many of them slept overnight on the sidewalk outside the store just to insure a chance to say hello or pose for a photo with the Cup star and 2018 Playoff contender. Alan and Pearl Konesky drove from their – and Elliott’s – native Georgia during the night, getting about two hours sleep in their truck between arriving in Florida and getting in line for an autograph hours before sunrise. They brought a large piece of Elliott’s former Daytona Clash race car for an autograph. The couple from Cairo, Ga. have met Elliott before and been fans since his early late model days. Seeing him blossom into a bona fide NASCAR star and challenge for a championship even at the young age of 22 is of little surprise to them nor the other people crowding the aisles to meet Elliott. “I feel really good for him, it seems like they found speed in the Chevrolets and his Playoff hopes are really good,” Paul Konesky offered. An hour later after meeting and greeting, signing and smiling, Elliott confirmed he’s genuinely optimistic too. 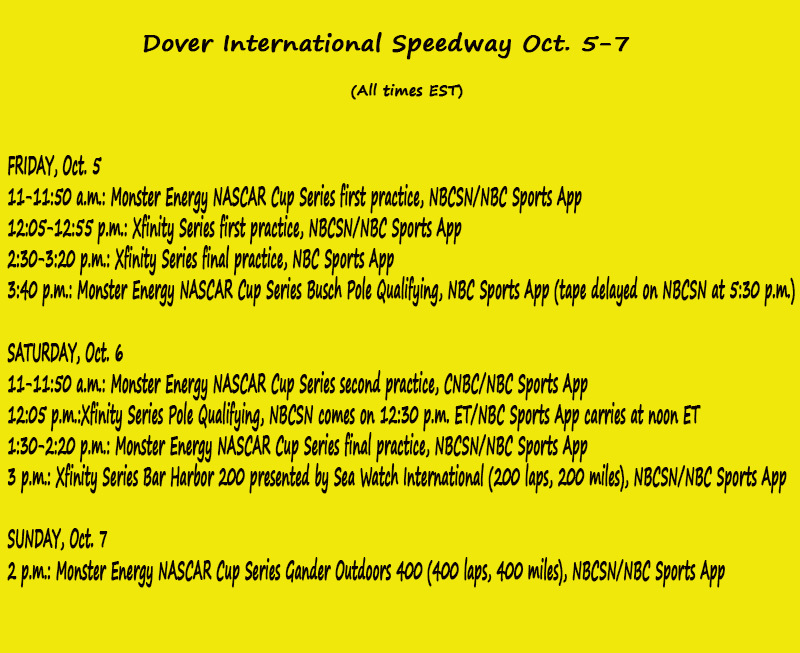 Especially as the series arrives at Dover International Raceway later this week for the Gander Outdoors 400 (2 p.m. ET on NBCSN, MRN, SiriusXM NASCAR Radio) – a venue and a race where Elliott has proven to be one of the best even in his young career. In five starts he has two runner-up finishes and his only non-top-10 effort is a 12th-place from this spring. “This round though, has some pretty good places for us with Dover and Kansas and I’m honestly excited about Talladega too, we’ve had some good cars at those places. I’m looking forward to this round. Elliott has good reason to feel optimistic. He has the third best average Playoff finish in the last two seasons (9.6) and has qualified for the Playoffs each of his three fulltime Cup seasons – with a best showing of fifth place in the championship last year. He comes into the second round of the 2018 Playoffs with finishes of fourth (at Richmond) and ninth (ROVAL) in the No. 9 Hendrick Motorsports Chevrolet. Dover, in particular, has been a place where Elliott shines. He nearly won this Playoff race last year, getting passed by Kyle Busch on the white flag lap and settling for a runner-up showing. He’s finished among the top-three in three of his five starts here. In five combined starts in the Xfinity Series and Camping World Truck Series, Elliott has never finished outside the top-10. This Saturday’s Bar Harbor 200 Xfinity Series race (3 p.m. ET on NBCSN, MRN, SiriusXM NASCAR Radio) is the first elimination race of the NASCAR Xfinity Series Playoff run. Only championship leader Christopher Bell has already advanced to the next round of eight drivers courtesy of his win at Richmond, Va. two weeks ago. Daniel Hemric is still looking for his first victory of 2018 but sits second to Bell in the standings with a healthy 30-point edge over ninth place Austin Cindric. He has two top-five finishes in three Xfinity races at Dover. And he’s especially highly motivated after it was announced last week in Charlotte that he will move up to the Richard Childress Racing Cup team in 2019. Tyler Reddick, who won the season-opener at Daytona, moved up four positions in the standings after Charlotte and is ranked third with a 21-point edge over the cutoff. His best showing in two Dover starts is fifth place this spring. Cole Custer was the biggest mover after the ROVAL race, advancing five crucial positions in the standings to fourth. He holds a 14-point edge over Cindric. Matt Tifft, Elliott Sadler, regular season champ Justin Allgaier and Vegas winner Ross Chastain round out the top-eight heading into Dover. Chastain holds a nine-point edge on ninth place Cindric. 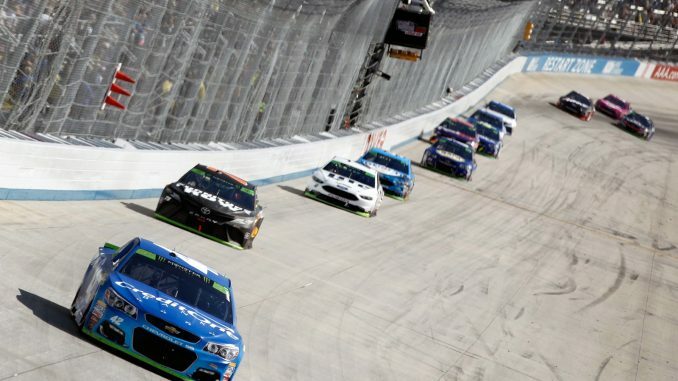 What to Watch For: Of the 12 Playoff drivers, Brad Keselowski, Kurt Busch, Kyle Busch, Kevin Harvick and Martin Truex Jr. have all won Playoff races at Dover. … There have been seven different Playoff winners in the last seven seasons. Of the Big 3, Kyle Busch won in 2017, Truex in 2016 and Harvick in 2015. …. No non-playoff driver has ever won a Playoff race at Dover. …. Jimmie Johnson, who was eliminated from the Playoffs last week at Charlotte is the winningest driver in Sunday’s field with 11 victories. Kyle Busch is next on the list with three. ….The worst finish by a Playoff driver at Dover that went on to win the championship is 25th place – by Tony Stewart en route to the 2011 title. … Ryan Newman leads all active drivers with four pole positions at Dover. …Truex is one of only two drivers (also Jody Ridley in 1981) to score his first win (2007) at Dover. … The youngest driver to win at Dover was Kyle Busch in 2008 at the age of 23. Playoff driver Chase Elliott, 22, has four top-10s including two runner-up finishes at Dover and is one of the favorites this weekend. … The outside pole starting positions has produced more winners (18) than any other place on the grid. A top-five start has produced the most winners (58 percent). ….Kyle Busch leads all active drivers with four runner-up finishes at Dover. Mark Martin holds the all-time record with eight second-place finishes. … The closest margin of victory in a race was .080-seconds when Johnson beat Kyle Busch in September, 2005. …Chevrolet is the winningest manufacturer at the track with 39 victories. Ford is next with 25. ….Matt Kenseth, Kurt Busch, David Ragan and Ross Chastain all made their Cup debuts at Dover. What to Watch For: This is the final race of the opening round of the NASCAR Xfinity Series Playoffs and Christopher Bell is the only driver already locked into the next round, courtesy of a victory at Richmond, Va. two weeks ago. … Eight drivers will advance. Austin Cindric is ninth in the standings and trails eighth place Ross Chastain by nine points. … Ryan Truex (-24 points), Ryan Reed (-25 points) and Brandon Jones (-28 points) are trying to race their way inside the top-eight. None of these drivers has won at Dover. Jones did win the pole position this spring and led 33 laps however, and his 10th-place finish is a career best. Truex and Reed each have a top-five at the track. ….Regular season champion Justin Allgaier is currently nursing the worst average finish (23.5) in the opening two Playoff races. But the JR Motorsports driver scored the first of his career high five season victories there this spring. He has eight top-10 finishes in 15 starts. 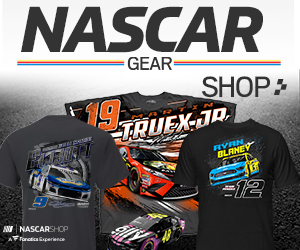 … Chase Briscoe earned his first career Xfinity win at the ROVAL last weekend in the No. 98 Biagi DenBeste Ford. He returns to the Roush-Fenway Racing No. 60 this week at Dover. …There have been 14 different winners this season. The record is 18 (set in 1988 and tied in 2017) and there are five races remaining this year.